The great Revelation 12:1 sign in the heavens appears this coming September 23, 2017 (http://www.chosenofisrael.com/9-23-17-sky-sign.php) - however, according to John the Revelator's timeline, the 2 Witnesses have ALREADY APPEARED as they are mentioned PREVIOUSLY in Revelation 11:1-13. This Inconvenient Fact and Truth makes it literally impossible for them to fulfill what is prophesied of them in less than a month or that they appear after the Revelation 12:1 Sign. 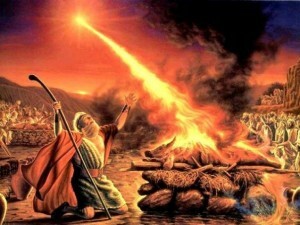 The following brilliant analysis and comprehensive research by RevelationRevolution.org offers compelling evidence that supports John's sequence of events which indicates the two witnesses arrived almost 2 millenia ago which shatters the commonly held belief they are yet to come in the near future and furthermore, the evidence crushes the commonly held belief they are Moses, Elijah, or Enoch. Suspend your preconceived ideas until after you have read the entire article and apply common sense to the prophet John's stated timeline of events and our place in time as of today's date. Revelation 11: A Preterist Commentary–Who are the Two Witnesses? In the following Preterist Bible commentary on Revelation 11, the reader will be exposed to shocking and compelling Biblical and historical evidence of the historical identity of the two witnesses. According to Revelation 11, the two witnesses were to prophesy openly for 1260 days while stopping the rain during the time in which they were prophesying. These two men were then to be killed by the beast and refused burial. Interestingly, all of the above details are corroborated in first century Roman records concerning Israel’s war with Rome. Though history confirms these prophecies, some questions must be answered. Why is it that in Revelation 11:4, the two witnesses are called “the two olive trees . . . that stand before the Lord of the earth.” According to Zechariah 4:11-14, the two olive trees that stand before the Lord are the king and high priest. Furthermore, why is it that in the original manuscripts, the Bible uses the singular tense when describing the deaths of the two witnesses in v. 9? Is there an error in the Bible, or is there more to the identity of the two witnesses than meets the eye? Who were the two witnesses? Two witnesses preached for three and a half years from A.D. 66-A.D. 70 before being killed by the beast, Caesar Titus. The following may seem unbelievable. However, all information is taken from unbiasedhistorical records and is easily verifiable. Sources listed at the end. A Realized Eschatology Interpretation and Commentary of Revelation 11:Who are the Two Witnesses in Revelation? There was once a man who prophesied for three and a half years,1 was hated by the Jewish elite,2 was flogged by a Roman procurator “yet he did not open his mouth,”3 and was killed on Passover. Based on this description, who is the first person to come to mind? Ciseri, Antonio. 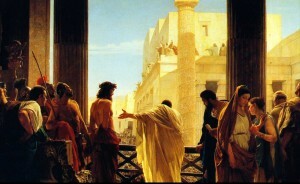 Ecce homo! (Behold the man!). 1871. If you answered Jesus, you are correct. But I am not speaking of the life of Jesus as it is recorded in the gospels. I am speaking of what could be the post-resurrected Jesus who may have made a brief reappearance at the Feast of Tabernacles in A.D. 62. After Jesus’ resurrection, he appeared to Mary looking like a farmer or gardener (John 20:15). Similarly, a farmer or husbandman named Jesus the son of Ananus haunted Israel with powerful warnings of impending doom before the arrival of the Roman army. Was Jesus the son of Ananus Jesus Christ? Revelation 11 Commentary Intro: A Word of Caution . . . In the remainder of this commentary on Revelation 11, I present historical evidence that Jesus the son of Ananus is the two witnesses of Revelation 11. It appears to me that there can be no better candidate for the two witnesses than this man as he seems to fulfill perhaps all the predictions concerning this figure or figures as described in the text. Though Jesus the son of Ananus appears to have historically fulfilled the prophecies concerning the two witnesses in Revelation 11, this fact presents a possible conundrum. Revelation 10 and 11 imply that the two witnesses are Jesus Christ. Though the Book of Revelation never explicitly identifies the two witnesses as Jesus Christ it does provide many subtle clues throughout these two chapters that all point to this idea. When the collective whole of the evidence is weighed and considered, the idea that Jesus Christ is the two witnesses seems to me to be very compelling. In the commentary below I ask the question, was Jesus the son of Ananus Jesus Christ? If he was, then this certainly would explain how one man could be two witnesses (John 8:18). But before addressing this question I believe that it is wise to exercise some caution. Strong claims require strong evidence. No amount of historical evidence will ever be sufficient to claim with one hundred percent certainty that Jesus Christ and Jesus the son of Ananus are one and the same. That having been said the historical and Biblical evidence presented in the remainder of this commentary will explore this question. Regardless of the amount of evidence in favor of the fact that these two men are the same being, I wish to caution my audience. If one boldly claims that Jesus the son of Ananus is or was Jesus Christ and they are wrong, then this person is arguably guilty of idolatry in raising a mere man to divine status. If one inflexibly asserts that Jesus the son of Ananus is or was not Jesus Christ and he or she is wrong, then this person is potentially guilty of blasphemy in denying Christ’s divinity. Therefore, one should refrain from inflexibility and dogmatism whether for or against this idea. A healthy degree of open-mindedness and skepticism is certainly prudent while examining the evidence. Revelation 11 Commentary Intro: Does Revelation 10:1-5 suggest that Jesus Christ is the Two Witnesses? The chapter breaks in the Bible were not in the original manuscripts. These breaks were added later to make it easy to quickly locate a verse. Thus Revelation 10 and 11 should not be thought of as separate chapters but rather as a continuous narrative. This is especially warranted because Revelation 10 offers clues to the identity of the two witnesses described in Revelation 11. In the introductory verses of Revelation 10 John sees a vision of an angel crowned with divine attributes. As explained in detail in the preterist commentary on Revelation 10:1-2, this is angel is Christ, the angel of the Lord. In Revelation 10:5 Christ, the angel of the Lord, raises his right hand to heaven. Preterist author David Chilton correctly points out that “this is the proper stance for a witness in the court of law.” He then illustrates this fact by citing Genesis 14:22, Exodus 6:8, Deuteronomy 32:40, Ezekiel 20:5-6 and Daniel 12:7.4 Is the angel of this vision the two witnesses of Revelation 11? Christ’s identity as the two witnesses is also implied in Revelation 10:1. In this verse, Jesus’ twolegs are pictured as pillars of fire. According to Genesis 31:45, 52; Deuteronomy 27:1-8; Joshua 8:30-35; Joshua 22:26-28, 34; and Joshua 24:26-27 pillars are used in the Bible to represent witnesses.7 If pillars represent witnesses in the Bible, why are Jesus’ two legs depicted as pillars? Perhaps Jesus is symbolically portrayed in this way in order to depict Christ as the sole embodiment of the two witnesses? Revelation 11 Commentary Intro: The Gospel of John also suggests that Jesus is the Two Witnesses. [H]e continued this ditty for seven years and five months . . . until the very time that he saw his presage in earnest fulfilled in our siege, when it ceased; for as he was going round upon the wall, he cried out with his utmost force, “Woe, woe to the city again, and to the people, and to the holy house!” And just as he added at the last, “Woe, woe to myself also!” there came a stone out of one of the engines, and smote him, and killed him immediately. 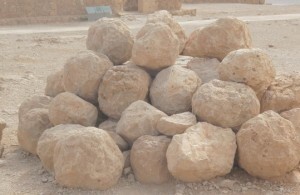 Boulders believed to be used in Roman catapults. Josephus seems to contradict himself in this verse. Josephus indicates that Jesus began his ministry at the Feast of Tabernacles in A.D. 62 and continued until he was killed at the start of the siege of Jerusalem in Passover of A.D. 70. This is a period of seven years and six months, not seven years and five months as Josephus states above.10 And since this man was not seen by anyone for four years until the start of the war, that means–like Jesus11 and the two witnesses of this chapter–this man preached for three and a half years. Revelation 11 Commentary Intro: Did Christ return during the Jewish War? Bouguereau, William Adolphe. 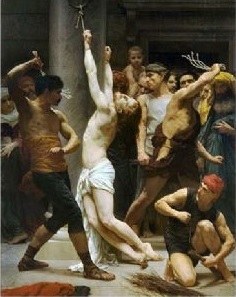 The Flagellation of Our Lord Jesus Christ. 1880. Revelation 11 Preterist Commentary Intro: Revelation 17:1-3 Implies that the Judgment coming at the End of the Age was the Result of the Releasing of the Four Winds. The Fact that Jesus the Son of Ananus Claims to be “A Voice From the Four Winds” Strongly Suggests that He is the Two Witnesses. Revelation 7:1-3 implies that the judgment that would soon come upon Jerusalem in Revelation was to come by way of the releasing of the four winds.15 Thus if Jesus the son of Ananus truly is a “voice from the four winds” as he purports, this fact depicts him as a witness to these divine agents thus strongly suggesting that he is the two witnesses of this chapter. Revelation 11 Commentary Intro: If Jesus had no Human Father, What was his Surname? If Jesus the son of Ananus is Jesus Christ, why the peculiar surname? As the Son of God, Jesus does not have a biological father according to the gospels. Because Jesus could not be properly identified in the traditional Jewish way with His first name followed by the name of His father, perhaps Jesus adopted the surname “son of Ananus” in order to convey a message? Revelation 11 Commentary Intro: The Surname “Son of Ananus” Points to the High Priesthood. Revelation 11 Commentary Intro: The High Priest Ananus Son of Ananus Killed James, Jesus Christ’s Biological Brother, at the Start of Jesus the Son of Ananus’ Ministry. It is interesting to note that Caiaphas the high priest largely responsible for Jesus Christ’s execution according to John 11:45-53 was Ananus’ son-in-law. 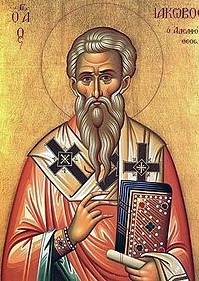 Furthermore, Ananus’ fifth and last son to become high priest was Ananus the son of Ananus. While serving as high priest, Ananus the son of Ananus was most directly responsible for the murder of Jesus’ biological brother James in A.D. 63.16 Perhaps it is not a coincidence that Jesus the son of Ananus began his ministry at around the time of James’ death. James was not only the leading pillar of the Christian church in Jerusalem at the time of his death, he was also Jesus Christ’s biological brother. Was the death of James the final straw that brought about the coming judgment that Jesus had so often warned about in the gospels? 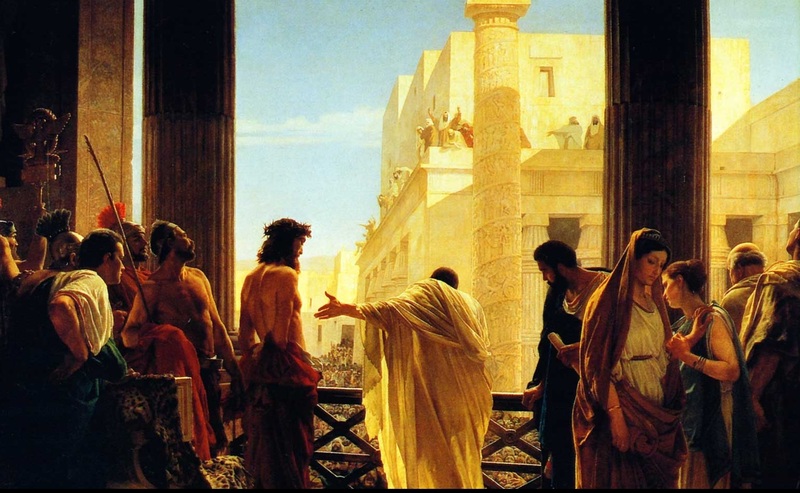 Perhaps Jesus’ outrage over the unjust murder of His brother matched or exceeded that of many of the other righteous people of that city leading Him to reveal himself at that time to warn of the coming judgment? And perhaps He adopted the last name of the man most responsible for his brother’s murder in order to imply that He is the true high priest? Revelation 11 Commentary Intro: Jesus’ Physical Presence in Jerusalem as Jesus the Son of Ananus is Implied by the Greek Word Parousia. As surprising as it may sound that Jesus Christ might have been physically present in Jerusalem during the Jewish War, this shock should be alleviated by the way in which the second coming is labelled in the New Testament.18 Whenever the second coming is mentioned the word that is often used to identify this event is the Greek word parousia. Parousia is a word used to denote the arrival of a conquering general, emperor or high-ranking official into a city. The word connotes a coming into with an extended presence of an official in a city. When people think of the “second coming” or parousia, they often picture a one-time, brief appearance of Christ on the clouds. If that is all that the second coming or parousia was then parousia is a strangely inaccurate way to label this event. The word parousia implies that a king or high ranking official will appear outside and then subsequently enter a city often for a somewhat lengthy period of time. Given the fact that the New Testament uses parousia to describe the second coming, it should not be surprising that after Christ was seen on the clouds outside of Jerusalem in A.D. 66, at the start of the Jewish War, that He later may have entered Jerusalem in the flesh and stayed for three and a half years. See Jesus, the Son of Man, was LITERALLY Seen in the Clouds in A.D. 66 and Historical Evidence that Jesus, the Son of Man, was LITERALLY SEEN in the Clouds in the First Century. Revelation 11 Commentary Intro: Two Witnesses in the Sky. . . Following the procession of the zodiac, the constellation Gemini, the twins, precedes the coming of the six constellations used by John in Revelation 9 to symbolize the five month siege of Jerusalem. And just as the two men of Gemini precede these signs of the coming war, two witnesses warned the people of Israel for forty-two months before the attack on Jerusalem. For an explanation of how Revelation sometimes employs the zodiac which is iconic, stereotypical ancient Babylonian imagery to communicate inevitable judgments on spiritual Babylon in signs and omens that spiritual Babylon could and should have understood see the brief introduction to the commentary on Revelation 12. As stated in Revelation 9: A Preterist Commentary–Who is Apollyon?, the locusts in Revelation 9 withhold their assault until the seventh trumpet. At the end of Revelation 11 the seventh trumpet is blown. But before the sounding of the final trumpet, there is a pause in John’s vision. In Revelation 8, John describes how the Romans destroyed city after city throughout the Israeli countryside. 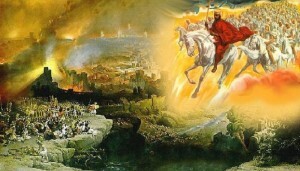 Then in Revelation 9, John foresaw the mobilization of Roman reinforcements heading for Jerusalem. Revelation 11:1-6 reveals what happened in Jerusalem during these forty-two months of strife. During this time, two men symbolized in the sky by the Gemini twins warned Jerusalem of the coming disaster. According to the Law of Moses, the testimony of two witnesses is required to put a man to death (Deuteronomy 17:6). Thus on the testimony of these two witnesses, the people of Jerusalem are marked for slaughter. A Covenant Eschatology Exposition and Commentary of Revelation 11:Having the Power and Spirit of both Moses and Elijah, the Two Witnesses Embody the Law and the Prophets—the Word of God. 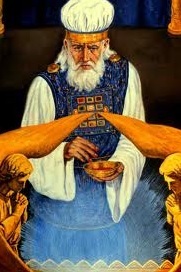 In alignment with the likelihood that Moses and Elijah were prophetic types pointing to Christ, could this vision of Jesus beside Moses and Elijah be a sign that throughout Jesus’ ministry He worked in the power and spirit of Moses and Elijah in the same way that John the Baptist worked through the spirit and power of Elijah? In Mark 9:4 Jesus is seen speaking with Moses and Elijah. Could this discourse be a brief glimpse of the possibility that Moses and Elijah guided Jesus and worked behind the scenes not just at that moment but throughout His entire ministry? And if they did, could it not then be said that Jesus acted in the power and spirit of Moses and Elijah during His ministry recorded in the Gospels? And if Jesus worked by the power and spirit of Moses and Elijah during the initial aspect of His ministry, would it not stand to reason that the same would be true during Jesus’ corporal ministry as the two witnesses at the time of the Jewish War? In the Mosaic Law, there is a list of over twenty curses that would befall Israel if they ever turned away from God. Every curse listed in Deuteronomy 28 has recorded fulfillment in the Jewish War, some multiple times over.22 Likewise, almost every prophet from Isaiah to Malachi wrote of the end times. In quoting so abundantly from the Old Testament, it is the author of Revelation’s intention to show the reader that almost every significant event in Jewish history was a symbol of the climax at the end of the age.23 These two witnesses act as God’s reminder to the people. This chapter tells their story. 1I was given a reed like a measuring rod and was told, “Go and measure the temple of God and the altar, and count the worshippers there. 2But exclude the outer court; do not measure it, because it has been given to the Gentiles. They will trample on the holy city for 42 months. Revelation 11:2 Preterist Commentary: Forty-Two Months of War . . . Following the precedence set in the Book of Ezekiel regarding the Babylonian invasion, John is told to measure the Temple as an angel had done in Ezekiel 40. This temple and its measurements are described in Revelation 21. Though a literal description of heaven, the New Jerusalem of Revelation 21 is also a symbol of the church, the new temple of God (2 Corinthians 6:16). Perhaps the trampling of the holy city in v. 2 denotes the total conquest of Israel under the Flavians which culminated in the conquest of Jerusalem in the final five months of this three and a half year assault? Notice that Luke 21:24 implies that Jerusalem is trampled upon by the Gentiles during and after the siege of Jerusalem, not before it. Interestingly, after Jerusalem was conquered by the Romans the tenth legion was subsequently stationed in the city as a guard.26 Hence the Gentiles truly did trample on the city of Jerusalem during its conquest and after its fall. 3And I will give power to my two witnesses, and they will prophesy for 1,260 days, clothed in sackcloth. Preterism Explained and Interpreted, A Commentary of Revelation 11:3:Jesus the Son of Ananus Prophesied Openly for 1,260 Days. 1260 days or forty-two months is three years and six months according to the Hebrew prophetic solar calendar in which each year is 360 days. This verse is one of several verses in the Bible in which a 360 day year is implied (Genesis 7:11,24; 8:3-4; Esther 1:4). However, to call this 360 day year the Hebrew prophetic solar calendar as it is often called is a misnomer. The Egyptians and Babylonians both charted time using a 360 day solar calendar. And because the Jews spent considerable time in both nation states, it is not surprising that this calendar was occasionally used and thus surfaces at times in the Bible. But why is this 360 day Egyptian and Babylonian calendar used in the Book of Revelation? The reason is soon to be clarified in Revelation 11:8 and Revelation 17. As will be explained in detail in the commentary on these verses, Jerusalem is spiritually called Egypt in Revelation 11:8 and Babylon in Revelation 17 and 18. Thus the fact that John uses the Egyptian and Babylonian calendar to predict the future of Jerusalem in this verse reinforces this theme of labeling Jerusalem these epithets. Revelation 11:3 says that the two witnesses prophesied in sackcloth. Sackcloth was the clothing of prophets (Zechariah 13:4, 2 Kings 1:8) and mourners (Ester 4:3, Daniel 9:3, John 3:6). Can one think of a more suitable garment for a prophet like Jesus son of Ananus whose incessant chant immediately before the fall of Jerusalem was “Woe, woe to Jerusalem!”? 4These are the two olive trees and the two lampstands that stand before the Lord of the earth. A Preterist Interpretation, Exposition and Commentary of Revelation 11:4: As is the Case in Zechariah 4:11-14, the Two Olive Trees Symbolize the King and High Priest; Therefore, the Two Witnesses Appear to be One Man, the Messiah. In Zechariah 4:11-14, the two olive trees symbolize the king and high priest. According to Hebrews 5:10, Jesus “was designated by God to be high priest in the order of Melchizedek.” “This Melchizedek was king of Salem and priest of God Most High (Hebrews 7:1).” By saying that Jesus is a high priest in the order of Melchizedek means that Jesus is both king and high priest. Therefore, having inherited the Father’s heavenly kingdom, Jesus Christ is both high priest and king and thus the solitary embodiment of the two witnesses in this chapter. The lampstands were designed to resemble a tree with the arms of the lamp resembling tree branches. Revelation 11:4 Preterist Commentary: Lampstands represent the Church. The Fact that the Two Witnesses are depicted as Two Lampstands also points to Christ Who is the Sole Embodiment of the Church, the Body of Christ. In v. 4 the two witnesses are also symbolized by two lampstands. The fact that the two witnesses are depicted as two lampstands also points to Christ. 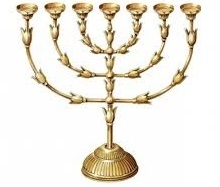 According to Revelation 1:20 lampstands represent the Church: “[T]he seven lampstands are the seven churches.” The fact that the two witnesses are depicted as two lampstands implies that they are an embodiment of the Church. In Romans 12 and 1 Corinthians 12, the church is called the Body of Christ. The fact that the church is called the Body of Christ implies that Jesus Christ is a living embodiment of the Church. The fact that the two witnesses are depicted as an embodiment of the church is yet another piece of evidence suggesting that the two witnesses may be Jesus Christ. Revelation 11:4 Commentary: Having Divided His Ministry into Two Equal Three and a Half Year Intervals, Could Jesus Christ be the Two Witnesses of Revelation 11? 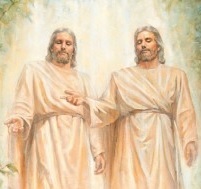 If we assume that Jesus the son of Ananus is Jesus Christ, then it makes perfect sense to call Jesus Christ “two witnesses.” Not only does it make sense to call Jesus “two witnesses” because he is both king and high priest, the fact that Jesus Christ may have divided His corporal and visible ministry into two equal and separate three and a half year intervals makes this title even more appropriate. Though different in some respects, the ministries of both Jesus Christ and Jesus the son of Ananus are strikingly similar in many ways as stated above. The fact that Jesus is called the two witnesses is not surprising if we assume that He came to earth twice to deliver the same message—a warning concerning the tragedy at the end of the age. Revelation 11:4 Full Preterist Commentary: The Fact that the Two Witnesses are Embodied in One Man Explains the Shift to the Singular Tense in v. 9. The fact that Jesus is the two witnesses are one man may also be implied by a peculiar shift from the plural to the singular tense found in v. 9.28 This verse literally reads, “Those from the peoples and tribes and tongues and nations look at their dead body for three and a half days, and do not permit their dead bodies to be laid in a tomb [emphasis mine].” Notice body is singular, not plural. This is not a linguistic mistake. The two witnesses representing the king and high priest are embodied in one being, Jesus Christ who may have made two distinct appearances in the first century. 5If anyone tries to harm them, fire comes from their mouths and devours their enemies. This is how anyone who wants to harm them must die. The two witnesses are said to pour forth fire from their mouths as the Lord does when He comes in judgment (2 Samuel 22:9, Psalm 18:7-9, Isaiah 33:10-14). The symbolism used here is similar to that of Jeremiah 5:14 in which God says to the prophet Jeremiah, “I will make my words in your mouth a fire and these people the wood it consumes.” This verse illustrates their prophetic power. The fire that comes out of the mouth of Jeremiah in Jeremiah 5:14 points to the fact that as a prophet of God, Jeremiah speaks the word of the Lord. 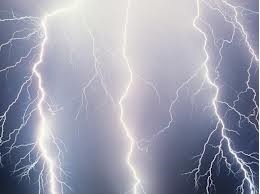 Psalm 29:7 reads, “The voice of the Lord strikes with flashes of lightning.” This lightning that comes from the mouth of the Lord in Psalm 29:7 I believe is the fire from heaven mentioned in Revelation 13:13. Echoing the fact that fire comes from the mouth of the Lord when He comes on the clouds of heaven, Psalm 18:8-9 reads, “Smoke rose from his nostrils; consuming fire came from his mouth, burning coals blazed out of it. He parted the heavens and came down; dark clouds were under his feet.” Is this lighting or fire from heaven the fire which proceeds out of the mouth of the two witnesses in v. 5? Preterism Explained and Interpreted, A Commentary of Revelation 11:5:The Two Witnesses Have Power over the Fire-Breathing Leviathan, Rome. 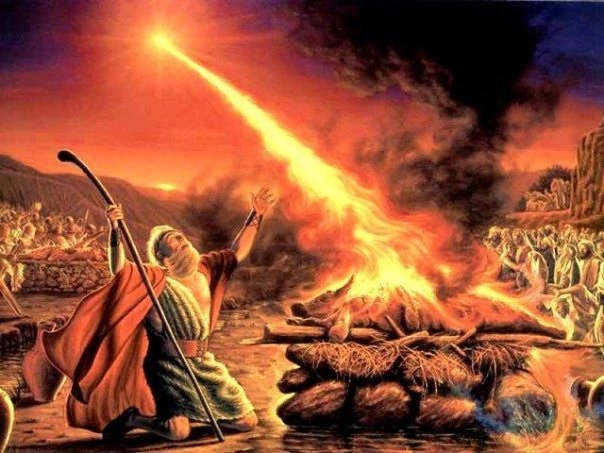 Elijah calls down fire from heaven in 1 Kings 18 and 2 Kings 1. When fire is said to come from the mouths of the two witnesses in v. 5, four complimentary points seem to be implied all of which point back to Jesus Christ: First as stated above, the fire that proceeds from the mouth of the two witnesses points to their prophetic power (Jeremiah 5:14). This prophetic power points to Christ because “Jesus is the spirit of prophecy (Revelation 19:10).”29 Second as implied above, this fire hints at the coming of Christ on the clouds of heaven (Matthew 24:30, Mark 14:62, Luke 21:27) as God had done so often in the Old Testament. When the Lord came on the clouds of heaven fire from heaven is said to come from God’s mouth (2 Samuel 22:9; Psalm 18:7-9; 29:7; Isaiah 33:10-14). This fire from heaven was a sign and symbol of Christ’s coming on the clouds of heaven in judgment (Matthew 24:27). Third this phrase shows that these two witnesses possess the power of Elijah who in 2 Kings 1:10 called down fire from heaven before killing the prophets of Baal. Elijah was to pave the way for the coming of Christ (Malachi 4:5, Matthew 11:14). Furthermore, as will be explained below there also seems to be a way in which Jesus’ ministry displayed the power of both Moses and Elijah. And lastly the author of Revelation implies that these two witnesses control the mighty leviathan, later identified as Rome, who also pours forth fire from his mouth (Job 41:19, Revelation 9:17). See Revelation 9: A Preterist Commentary and Revelation 13: A Preterist Commentary. As indicated in Revelation 10: A Preterist Commentary, it is the divine Christ who guides the Roman army to attack Israel in fulfillment of Job 41:1. Thus clothed with divinity, it is Jesus Christ Himself who acting like the Lord in the Old Testament pours forth fire from His mouth when He comes in judgment on a nation whether directly (2 Samuel 22:9; Psalm 18:7-9; 29:7; Isaiah 33:10-14) or indirectly through a prophet (Jeremiah 5:14) or through His punishing army (Job 41:19, Revelation 9:17). I believe that every time Revelation mentions fire from heaven or fire proceeding from something or someone’s mouth it is a Biblical hint that this fire is ultimately coming from and pointing back to Jesus Christ as a sign of divine judgment. After all it was Jesus Christ who was ultimately responsible for orchestrating Israel’s demise during the Jewish War as was explained in the commentary on Revelation 10. A Covenant Eschatology Exposition and Commentary of Revelation 11:5:Jesus the Son of Ananus was Harmed Daily, and as a Result Jerusalem burned to the Ground in Fulfillment of v. 5. The leviathan was a seven-headed sea monster. The fact that the leviathan was a many-headed sea monster is made explicit in Psalm 74:14: “You crushed the heads of Leviathan.” The seven-headed beast of Revelation representing Rome is the leviathan. This beast, the leviathan, according to Job 41:19, has the power to breathe firebrands: “Out of his [the leviathan’s] mouth go burning torches; sparks of fire leap forth.” Firebrands are burning torches used as weapons of war. In this verse, John asserts that anyone who tries to harm these witnesses will ultimately be killed by firebrands launched into the city by the leviathan representing the Roman army.30 Both Jesus Christ and Jesus the son of Ananus were harmed by the inhabitants of Jerusalem. In The Wars of the Jews, Josephus says that Jesus the son of Ananus was beaten daily;31 consequently, the Roman army launched firebrands into the city in fulfillment of Revelation 9:7; and Jerusalem burned to the ground. 6These men have power to shut up the sky so that it will not rain during the time they are prophesying; and they have power to turn the waters into blood and to strike the earth with every kind of plague as often as they want. Revelation 11:6 Preterist Commentary: The Drought Ended and the Waters Overflowed at the Death of Jesus Son of Ananus in Fulfillment of v. 6. Revelation 11:6 Commentary: Does the Fact that it Rained in A.D. 68 during the Three and a Half Year Interval in which Jesus the Son of Ananus was Prophesying preclude Him from Being the Two Witnesses? No. This storm occurred in the midst of the three and a half year interval in which Jesus the son of Ananus, the two witnesses, was prophesying. Does this disprove the fact that Jesus the son of Ananus was the two witnesses? It would seem so—unless, Jesus the son of Ananus is Jesus Christ. As explained in detail in The Appearance of Christ in A.D. 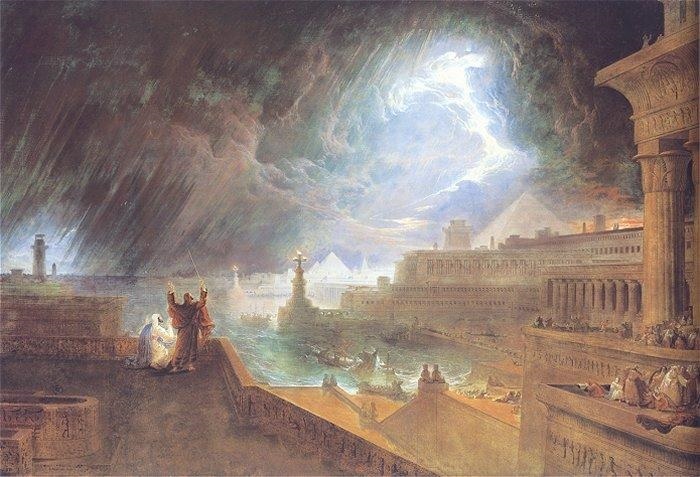 68?, this “prodigious storm” of A.D. 68 mentioned by Josephus fulfills seemingly all the Biblical criteria necessary to say that God had come on the clouds in judgment at that time amidst the Glory Cloud—the ultimate sign of the divine presence. The storm of A.D. 68 marked the arrival of an invading army outside of Jerusalem and continued while these soldiers broke into the city and caused a tremendous massacre within. This storm with its dark storm clouds darkened the sun, moon and stars with a thick blanket of clouds. Furthermore, this storm was also accompanied by an earthquake in addition to the other signs that God was present on the clouds in judgment like rain, thunder, lightning and strong winds. The fact that God came on the clouds in judgment during the above mentioned storm of A.D. 68 appears to solve the dilemma of why it rained during the time in which the two witnesses were prophesying. In Matthew 17:1-9, Jesus transforms Himself into a being of light dressed in white in the presence of what looks like two angelic beings. 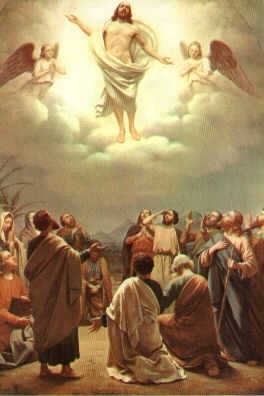 Jesus’ transfiguration is quite literally a metamorphosis into His heavenly body. Jesus’ appearance during the transfiguration bears a striking resemblance to the similarly luminescent appearance of angels as indicated 2 Kings 6:17, Daniel 10:6, Matthew 28:2-3, 2 Corinthians 11:14 and Hebrews 1:7. See How the Resurrection Bodies of the Saints Perfectly Mirror Jesus’ Resurrection Body after His Ascension Into Heaven Fulfilling Philippians 3:20-21 and ALL Other Bible Verses on the Resurrection!!!. This luminescent appearance is also the way beings in heaven are described in near-death experiences. In other words, spirits in heaven are often described as beings of light dressed all in white in many near-death experiences. If Jesus could transform at will into His heavenly resurrection body (1 Corinthians 15) during His first incarnation, perhaps He did so again in His second? Could the parousia of A.D. 68 have been Christ transfigured again while once again in the presence of the heavenly host? In other words, perhaps Jesus transformed into His heavenly body as He had in Matthew 17:1-9 when He came on the clouds of heaven in A.D. 68? Revelation 11:6 says, “These men have power to shut up the sky so that it will not rain during the time they are prophesying[. ]” It would seem logical that Jesus would continue to prophesy while He was on earth as Jesus the son of Ananus. However, during the times in which Christ had come on the clouds in judgment during the Jewish War, He would have stopped prophesying because His earthly body would have presumably been transfigured into His heavenly body while He rode on the clouds of the sky in judgment. In other words, Jesus as Jesus the son of Ananus would not have prophesied as the two witnesses because Jesus the son of Ananus would have presumably ceased to exist at those times. This is because Jesus’ body would have presumably been transfigured or transformed into His glorified heavenly body during the times in which Jesus had come on the clouds in judgment during the Jewish War. Furthermore, because Jesus was in the clouds of the sky at this time, this fact, of course, implies that He had stopped prophesying since He was no longer present on the surface of the earth in physical form. It should also be said that when God came on the clouds in judgment as appears to be the case during the rain storm of A.D. 68, the time for prophesying was, at least temporarily, over; because the time for judgment had arrived. In other words, when the time for judgment is at hand there can be no prophesying since at the time of fulfillment, prophesies are–by definition–no longer prophecies, but rather statements of current events. Furthermore, if Jesus came on the clouds of heaven in A.D. 68 it would have been expected to have rained since rain is one of the signs of the presence of God when He on the clouds of heaven according to Psalm 18:7-14. The fact that it rained in the midst of the interval in which Jesus, the two witnesses, were prophesizing implies that Jesus was transfigured into His heavenly body at the arrival of the Idumeans in A.D. 68. At this time, Christ rode the dark rain clouds of the sky at the head of His punishing army as God had in Psalm 18:11: “He made darkness his covering, his canopy around him—the dark rain clouds of the sky.” Therefore, the fact that it rained during the time in which the two witnesses were prophesying would not appear to contradict Revelation 11:6. This, of course, could only be the case if Jesus Christ is Jesus the son of Ananus. There appears to have been one other occasion in which Christ came on the clouds in judgment during the three and a half year interval in which the two witnesses were prophesying. This was in A.D. 66. (As will be explained in detail below, Jesus the son of Ananus died at the start of the second coming of A.D. 70.) See Jesus, the Son of Man, was LITERALLY Seen in the Clouds in A.D. 66. In this case I believe Jesus the son of Ananus also transfigured into his heavenly body and came on the clouds of heaven at that time. Revelation 11:6 Commentary: The Two Witnesses Have the Power to Afflict Israel with the Seven Plagues of Revelation. Martin, John. One of the Seven Plagues of Egypt. Revelation 11:6 Commentary: 2 Peter 1:16-18 indicates that the Transfiguration was a Model of the Parousia. The Fact that Jesus appears at this Time in the Presence of Moses and Elijah may be a Sign that Jesus Christ is the Sole Embodiment of the Two Witnesses who have the Power and Spirit of Moses and Elijah in v. 6. For we did not follow cleverly devised tales when we made known to you the power and coming [parousia] of our Lord Jesus Christ, but we were eyewitnesses of His majesty. For when He received honor and glory from God the Father, such an utterance as this was made to Him by the Majestic Glory, ‘This is My beloved Son with whom I am well-pleased’— and we ourselves heard this utterance made from heaven when we were with Him on the holy mountain. 2 Peter 1:16-18 is a description of the transfiguration. 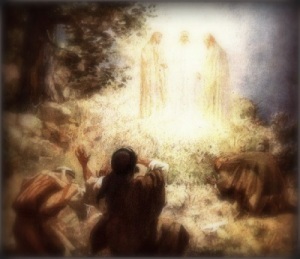 During the transfiguration, Jesus appeared to the disciples in the presence of Moses and Elijah. 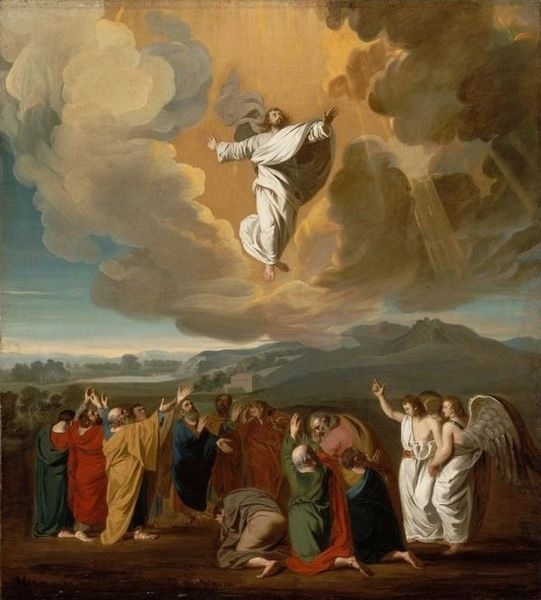 (Matthew 17, Mark 9, Luke 9) What is interesting about Peter’s description of the transfiguration is that the Greek word translated coming in v. 16 is parousia, the same word often used to refer to the second coming throughout the New Testament. 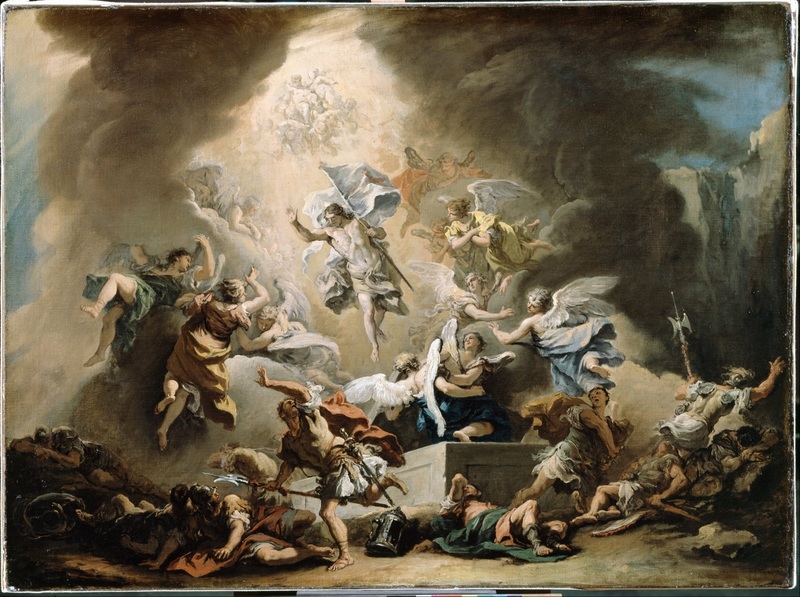 The fact that Peter uses the word parousia to describe the transfiguration implies that Peter may have seen this event as a visionary shadow or model of the parousia, the second coming. In Luke 9:30 Peter, John and James see Jesus in a glorious luminescent form standing by Moses and Elijah who seem to be “speaking of His [Christ’s] departure which He was about to accomplish at Jerusalem.” Furthermore, while Jesus was on the cross many bystanders believed that Jesus called on Elijah (Matthew 27:46-49). I believe that Luke 9:30 and possibly Matthew 27:46-49 imply that Moses and Elijah may have spiritually aided Jesus throughout His earthly ministry recorded in the gospels. If Moses and Elijah spiritually worked behind the scenes assisting Jesus throughout His ministry, then perhaps it may be said that Christ came in the spirit and power of Moses and Elijah at the time of His gospel ministry? If this is true during Jesus’ initial earthly ministry, maybe it is also true of His return as the two witnesses of Revelation 11? In Revelation 11:5-6 the two witnesses display the power of Moses and Elijah by assaulting their adversaries with fire, withholding rain, changing water into blood and tormenting Israel with many of the plagues of Exodus in the form of the seven trumpets and bowls. When the vision of the transfiguration comes to a close and Moses and Elijah disappear leaving Jesus alone in His ordinary human form, perhaps this periscope hints at this element of the Parousia when Jesus returns in human form with the power and abilities of Moses and Elijah as the lone embodiment of the two witnesses of this chapter? Recall that the Bible describes the second coming with the Greek word parousia. This word implies a coming with an extended stay. Did Jesus Christ come to Jerusalem in glorified form at the head of the angelic army in the clouds of A.D. 66 and then enter the city in the flesh to warn of the coming disaster for three and a half years? 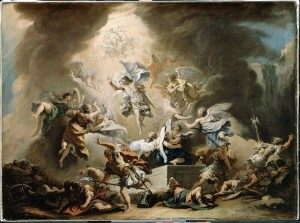 For a detailed discussion of how the transfiguration also mirrors the other appearances of Christ in the first century see How and Why 2 Peter 1:16-18 Implies that the Transfiguration is a Visionary Type of the Second Coming and How Every Element of the Transfiguration Literally Modeled the Various Manifestations of the First Century Parousia. Revelation 11:7 Preterist Commentary: Jesus the Son of Ananus was Killed by Titus, the Beast from the Abyss. The beast out of the Abyss mentioned here has been referred to many times throughout this prophetic work. The beast out of the Abyss is Rome which received a fatal wound at the death of Nero as predicted in Revelation 13:3. This wound had been healed and the beast resurrected at the ascension of the Flavian Dynasty–Caesar Vespasian, Titus and Domitian. Vespasian and his two sons were all declared Caesar at the same time.37 The Flavian trinity put an end to the civil wars in Rome which caused the metaphorical death of the Beast. This unlikely peace and restored unity of the empire is, I believe, symbolized in Revelation by the Beast rising out of the Abyss and being brought back to life. Revelation 11:7 Commentary: Romans 6:9 says, “Christ, having been raised from the dead, no longer dies.” Because Jesus the Son of Ananus died, Does that mean that He cannot be the Two Witnesses? Romans 6:9 says, “Christ, having been raised from the dead, no longer dies.” If Jesus the Son of Ananus is Jesus Christ and because Jesus the Son of Ananus died, does that mean that Jesus Christ cannot be the Two Witnesses? In John 11:25-26 Jesus says, “I am the resurrection and the life; he who believes in Me will live even if he dies, and everyone who lives and believes in Me will never die.”39 When Jesus said, “[E]veryone who lives and believes in Me will never die,” He is, of course, not saying that all believers would never experience physical death. Confirming the fact that those who put their faith in Christ are still expected to die physically, Hebrews 9:27 reads, “[P]eople are destined to die once, and after that to face judgment[. ]” Likewise Isaiah 65 predicts the fact that physical death was to continue in the Age to Come. Predicting the New Jerusalem of Revelation 21 and 22, Isaiah says the following in Isaiah 65:17: “Behold, I will create new heavens and a new earth” thereby echoing Revelation’s prophetic introduction of the new Jerusalem in Revelation 21:1: “Then I saw a new heaven and a new earth.” Interestingly, in remainder of Isaiah 65’s portrayal of the new Jerusalem, Isaiah clearly states that people will still die physically: “Never again will there be in it an infant who lives but a few days, or an old man who does not live out his years; he who dies at a hundred will be thought a mere youth; he who fails to reach a hundred will be considered accursed (Isaiah 65:20).” [Emphasis mine.] For a related discussion on spiritual death see the preterist commentary on 1 Corinthians 15:50 and 1 Thessalonians 4:13. In light of Hebrews 9:27 and Isaiah 65:20 it is clear that the when the saints were told that they would never die in John 11:25-26, this prediction cannot refer to physical death on earth. When the saints who believe in Jesus are said to never die in John 11:25-26 this must refer to the eternal life the saints were expected to experience after the resurrection of the dead. The same meaning is likely implied in Romans 6:9. When Romans 6:9 says that Jesus having been raised from the dead no longer dies, this statement clearly echoes John 11:25-26 when Jesus said that all who believe in Him would also never die. In both verses it seems clear that this immortality is a consequence of the resurrection as is explicitly stated in Romans 6:9. After Jesus rose from the dead He ascended into heaven. Jesus’ righteousness opened the gates of heaven, the afterlife realm of eternal life. It is through admittance into the eternal life of heaven at the resurrection that death is truly and literally conquered. Thus Christ “no longer dies” according to Romans 6:9 because He, like the saints after the resurrection, resides in heaven. This interpretation is confirmed by Luke 20:35-36: “But those who are considered worthy of taking part in the age to come and in the resurrection from the dead will neither marry nor be given in marriage, and they can no longer die; for they are like the angels. They are God’s children, since they are children of the resurrection [emphasis mine].” Remember that Isaiah 65:20 explicitly states that physical death continues in “the age to come” mentioned in Luke 20:35. Therefore, when Luke says that the saints “can no longer die” in “the age to come,” he appears to be alluding to post-resurrection existence in heaven. Luke clarifies this interpretation at the end of v. 35 when he addresses how it is that the saints “can no longer die”: according to Luke 20:36, the saints no longer die “since they are children of the resurrection.” Thus, when Romans 6:9 says that “Christ, having been raised from the dead, no longer dies,” this freedom from death applies only to Christ’s post-resurrection existence in heaven, as is also the case with the post-resurrected saints according to Luke 20:35-36 and John 11:25-26. That being said, what if Christ voluntarily came to earth after His resurrection, could He physically die then? In other words, if Jesus voluntarily left heaven to come to earth, as He did in His ministry recorded in the Gospels could Jesus die then? We already know the answer to this question as Jesus had already come down to earth as a man during His ministry recorded in the gospels. And, of course, Jesus did die toward the end of His ministry after having been crucified by the Romans (Matthew 27:50). As explained above, the “eternal life” that Jesus inaugurated after His resurrection was and is fulfilled in heaven, not on earth. Jesus’ death and resurrection was a model of our own. If the death and resurrection of Christ is a model of the death and resurrection of the saints after the end of the age and the saints still physically die after the end of the age, then one might also expect that if Christ returned to earth after His resurrection, He could still die physically as well. Jesus the son of Ananus died around Passover of A.D. 70, the same holiday in which Jesus Christ is said to have died according to the Gospels. If Jesus Christ came to earth to be physically “born again” shortly after His ascension, then Jesus the son of Ananus may have even been the exact same age as Jesus Christ when He was crucified in A.D. 33. If Jesus came to earth to be born of a woman a second time, this might also explain the surname “son of Ananus.” In Jesus’ first earthly incarnation, He had to live a life free of sin in order to be a suitable sacrificial offering for the sins of the world. In order to be free of sin it was necessary that Jesus be born of a virgin in order to avoid being tarnished at birth by original sin, the ancestral sin of Adam. Having already died for the sins of the world at His first incarnation, in subsequent incarnations it would no longer appear to be necessary that Christ be born of a virgin in order to avoid the curse of original sin. Thus Jesus may have had a real earthly father in HIs second incarnation explaining the surname son of Ananus. If Christ physically died twice in the first century, could this shed light on the prophetic custom of the daily sacrifice? According to Exodus 29:38-39, the custom of the daily sacrifice was performed twice each day–once in the morning and once in the evening. Revelation 11:10 Preterist Commentary: Jesus Christ and Jesus the Son of Ananus Both Died in Jerusalem. Verse 8 indicates that the two witnesses would die in Jerusalem “where also our Lord was crucified.” Of course, Jesus Christ and Jesus the son of Ananus both died in Jerusalem. Preterist commentators have long struggled to identify the two witnesses. Some have suggested that they may be the Apostles Peter and Paul. Verse 8 argues against this idea as neither of these men died in Jerusalem according to church tradition. In this verse Jerusalem, the city where the Lord was crucified, is called Sodom and Egypt. Why is Jerusalem given these epithets? Let us first turn our attention to why Jerusalem is called Sodom. 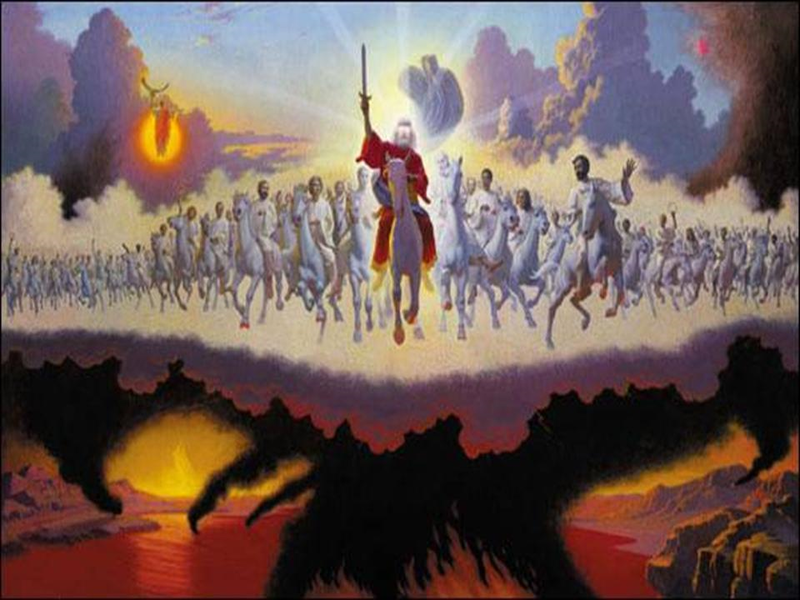 Revelation 11:8 Commentary: The “Fire from Heaven” during the Second Coming in A.D. 66 and the Elijah, Sodom and Jerusalem Connection. . . In Matthew 24:27 Jesus declares, “For as lightning that comes from the east is visible even in the west, so will be the coming of the Son of Man.” Tacitus writes in The Histories 5.13, “In the sky appeared a vision of armies in conflict, of glittering armour. A sudden lightning flash from the clouds lit up the Temple.” I believe this angelic army in the clouds that was seen at the start of the Jewish War was Jesus leading an army of angels in the sky during the first part of His second coming in fulfillment of Revelation 19:11-14. For a detailed explanation of this aspect of the second coming see Jesus, the Son of Man, was LITERALLY Seen in the Clouds in A.D. 66. For an explanation of the historical evidence of other possible appearances of Christ around the time of the Jewish War see Historical Evidence that Jesus, the Son of Man, was LITERALLY SEEN in the Clouds in the First Century. The lightning flash from the clouds that followed the army in the sky not only fulfills Matthew 24:27 and the expectation that lightning would mark the second coming of Christ it is also evidence that Jesus is the two witnesses of Revelation 11. As stated in the commentary above on Revelation 11:6, the two witnesses possess the power of Moses and Elijah. As stated above, Jesus as the two witnesses stopped the sky from raining during the Jewish War as did Elijah in 1Kings 17:1. The lightning from the clouds during the second coming in A.D. 66 also links Jesus to Elijah. Here Jesus literally called down fire from heaven as had Elijah who did the same in 1 Kings 18 and 2 Kings 1. The first aspect of the second coming was witnessed in Iyyar of A.D. 66. 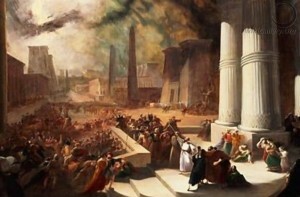 This is the same month and year in which the Israelites revolted against Rome. The fact that lightning, fire from heaven, struck the Temple in A.D. 66 during the second coming is, I believe, an omen foreshadowing the destruction of the Temple by “fire from heaven” in A.D. 70. In fulfillment of Revelation 13:13 Titus, calls down fire from heaven. This prophecy was fulfilled when under Titus’ leadership, the twelfth legion, Legio XII Fulminata, assisted in the burning and destruction of the Temple at the fall of Jerusalem in A.D. 70. 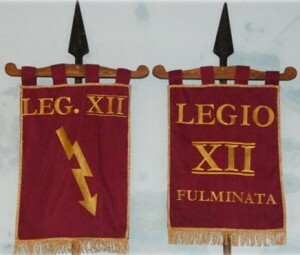 The emblem or symbol of the twelfth legion is a lightning bolt–fire from heaven. Similarly, the symbol of Rome itself is the Aquila, the mythological eagle who was believed to carry Zeus’ lightning bolt down to the earth. The Aquila, the symbol of Rome, was normally sculpted in Roman ensigns grasping a lightning bolt in its talons. In light of this information it does not seem to me to be a stretch to say that Rome itself is the lightning or fire from heaven mentioned so often in Revelation, Rome being most-notably represented by the mythological being believed to carry Zeus’ lightning bolt to the earth. See Revelation 13: A Preterist Commentary Not only was the Temple destroyed by fire from heaven, Jerusalem was as well. The Aquila was an eagle holding a lightning bolt–fire from heaven. This ensign was erected inside the Temple while it burned according to Josephus Wars of the Jews 6.6.1. The Emblem of the 12th Legion was a lightening bolt–fire from heaven. Preterism Explained and Interpreted, A Commentary of Revelation 11:8:Jerusalem is called Egypt because it was afflicted with the Plagues of Exodus. 9For three and a half days men from every people, tribe, language and nation will gaze on their bodies and refuse them burial. 10The inhabitants of the earth will gloat over them and will celebrate by sending each other gifts, because these two prophets had tormented those who live on the earth. Revelation 11:10 Commentary: In John 16:20, Jesus says that the Earth would rejoice over His Death. In John 16:20, Jesus says that the earth would rejoice over His death: “Truly, truly, I say to you, that you will weep and lament, but the world will rejoice.” The fact that the earth is depicted rejoicing over the death of the two witnesses is another subtle hint that the two witnesses are Jesus Christ. This blasphemous merriment also points to Jesus in another way. Rather than exchanging gifts at Jesus’ birth as Christians did for many centuries and still do today at Christmas, Jesus’ enemies are depicted in v. 10 exchanging gifts at His death in a dark parody of Christmas. Similar merriment was to be expected at the death of Jesus the son of Ananus—perhaps even more so. But before discussing the people’s reaction to this man’s death, let us first turn our attention to the earth’s general reaction to their dead during the siege of Jerusalem. A Preterist Interpretation, Exposition and Commentary of Revelation 11:9-10: Because Jesus the son of Ananus was killed in Jerusalem on Passover, Jews from all over the World would have witnessed His Death fulfilling vs. 9-10. During the Passover of A.D. 70, Jerusalem swarmed with pilgrims. It was at this time that Rome began its attack. As a consequence, thousands of Jews from all over the world were trapped inside the city. The fact that Jews from all over the world converged on Jerusalem during Passover, the holiday in which Jesus the son of Ananus was killed, explains how “men from every people, tribe, language and nation” rejoiced over the death of two witnesses according to Revelation 11:9-10. The people of Jerusalem did not bury the dead during the Roman siege. Revelation 11:9-10 Preterist Commentary: Why the People of the Jerusalem almost Certainly Celebrated the Death of Jesus Son of Ananus and likely refused Him the Honor of a Proper Burial. As the siege progressed and the people of Jerusalem were weakened with disease and famine, those inside the city walls did not bury the dead. As a result, corpses blocked the streets and allies of the city. Jesus the son of Ananus wailed cries of doom for years. Perhaps his fervor lit flickers of doubt in the minds of those who hoped that God would defend their city? The fact that this man was killed at the beginning of the siege43 might have suggested to some that perhaps he had been prophesying lies and was thus stuck down by God–death being the prescribed punishment for false prophets (Deuteronomy 13:5). Seen as a false prophet, Jesus would have almost certainly been refused the honor of a proper burial since his dead body was a sign to all that God was going to save their city. These Jewish rebels would have certainly celebrated their anticipated deliverance only to be confused later by the saintly resurrection they would soon witness. 11But after the three and a half days a breath of life from God entered them, and they stood on their feet, and terror struck those who saw them. 12Then they heard a loud voice from heaven saying to them, “Come up here.” And they went up to heaven in a cloud, while their enemies looked on. According to the New Testament, Jesus Christ resurrected from the dead on the third day. The two witnesses do the same in three and a half days. 1Corinthians 15:52 says, “For the [last] trumpet will sound, [and] the dead will be raised imperishable.” Jesus the son of Ananus died at the seventh trumpet. Was the seventh trumpet the last trumpet mentioned in 1 Corinthians 15:52 when the resurrection was expected to occur?45 After describing the death of Jesus the son of Ananus, Josephus uses the ambiguous expression: “he gave up the ghost.” Could Josephus be hinting at this man’s resurrection as described in the above two verses? Ricci, Sebastiano. The Resurrection. 1715-16. Revelation 11:12 Preterist Commentary: The Striking similarities between Revelation 11:12 and Acts 1:9-11 suggests that Revelation 11:12 describes the beginning of the Parousia of A.D. 70. The resurrection of the two witnesses is an exact mirror of the ascension of Christ in Acts 1:9-11. This implies that the two witnesses are Jesus Christ and that his visible ascension at the arrival of the Roman army in A.D. 70 is the beginning of the parousia of A.D. 70. In Acts 1:11 the apostles are told that Jesus was going to return just as they saw Him go into heaven. In other words, Acts 1:9-11 suggests that Jesus was to be seen ascending into heaven in the same way that the two witnesses are said to do in v. 12. After the disciples see Jesus ascending into the sky He is then taken from view having been obscured by a cloud. I believe that it was when Jesus was hidden by a cloud that the judgment accompanying the Parousia began. 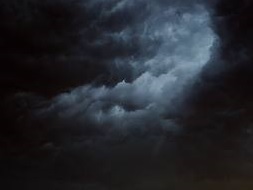 Whenever God was said to come on the clouds in judgment in the Old Testament, this often meant that dark clouds were to hide the brightness of God’s presence in the same way that a cloud hid Jesus from sight during his ascension according to Acts 1:9-11. After Jesus, the two witnesses, ascended into heaven in the full view of his enemies, he was hidden by dark rain clouds triggered by the cessation of his prophesying according to Revelation 11:6. As Jesus rose above the rain clouds he, quite literally, came on the clouds in judgment as he often foretold. Revelation 11:6 says that the two witnesses have the power to stop it from raining while they are prophesying. Jesus the son of Ananus did not stop predicting doom until he was killed by the above mentioned stone. After Jesus’ death he presumably rose up to heaven in the sight of all those around him as predicted in Revelation 11:12 and Acts 1:9-11, at that time he was also presumably obscured by a dark rain cloud caused by the termination of his prophesying (Revelation 11:6). Not only does the rain that accompanied the arrival of the Roman army and the concurrent death of Jesus the son of Ananus seem to fulfill Revelation 11:6, it is also a sign of the coming of the Lord on the clouds of heaven (2 Samuel 22:12, Psalm 18:9-11). “He parted the heavens and came down; dark clouds were under his feet. . . . He made darkness his covering, his canopy around him—the dark rain clouds of the sky [emphasis mine].” (Psalm 18:9-11) Thus the rain that occurred presumably at the arrival of eth Roman army and the ascension of Jesus the son of Ananus is a sign of the coming of the Lord on the clouds of heaven according to Psalm 18:9-11. Also keep in mind that the arrival of a foreign army is another sign of the coming of the Lord on the clouds in judgment (Psalms 68:7-14, Joel 2:1-11). I believe these rain clouds of the Glory Cloud also obscured Jesus from view after his saintly resurrection and ascension. A Preterist Exposition and Commentary of Revelation 11:11-13: The Glory Cloud was Present at the Death and Ascension of Jesus Christ and the Two Witnesses. Is this a Subtle Sign that Jesus Christ is the Two Witnesses? The fact that Jesus Christ is the two witnesses may also be suggested by the similar events surrounding their deaths and ascensions into heaven. Both the death and ascension of the two witnesses and the death and ascension of Christ were marked by the presence of the Glory Cloud. As stated above, the cloud that obscured Jesus in Acts 1:9 and the two witnesses at the time of their ascension in v. 12 is the Glory Cloud, the ultimate sign of the presence of God. This idea is supported by the fact that v. 6 implies that it rained at the death of the two witnesses. And as mentioned above, rain is a sign of the presence of God overhead in the Glory Cloud according to Psalm 18:9-11. Furthermore, v. 13 mentions an earthquake at the ascension of the two witnesses—another sign of the presence of God on the Glory Cloud according to Joel 2:10: “Before them [an invading army] the earth shakes, the heavens tremble, the sun and moon are darkened, and the stars no longer shine.” Interestingly the “heavens [literally] tremble” as a result of resounding thunder, a common occurrence during a rainstorm. Similarly, the sun, moon and stars are also generally darkened by thick rain clouds (Ezekiel 32:7) in total fulfillment of Joel 2:10. The Glory Cloud was also present at the death of Jesus Christ as it is recorded in the Gospels. According to Matthew 27:54 there was an earthquake like that mentioned in Joel 2:10 that shook the earth at the time of Jesus’ death on the cross. Earthquakes are a sign of the presence of God on the Glory Cloud according to Joel 2:10 quoted above. And as was the case in Joel 2:10 the sun was also darkened at the time of the crucifixion. Luke 23:44-45 reads, “It was now about the sixth hour, and darkness fell over the whole land until the ninth hour, because the sun was obscured.” Notice that Luke 23:44-45 indicates that darkness came over the land because the sun was obscured for three hours. This could not have been a solar eclipse. Solar eclipses do not last three hours. The only phenomenon that could darken the sun and cause darkness for three hours is thick cloud cover like that of the Glory Cloud. Describing the literaldarkness that accompanies the presence of God on the Glory Cloud, Ezekiel 32:7-8 reads, “And when I extinguish you, I will cover the heavens and darken their stars; I will cover the sun with a cloud and the moon will not give its light. All the shining lights in the heavens I will darken over you and will set darkness on your land[. ]” Notice that according to Ezekiel 32:7-8 the presence of the Glory Cloud obscures or covers the sun and brings literal darkness over the land as was the case during the crucifixion when according to Luke 23:44-45 darkness fell over the land because the sun was obscured. Could the presence of the Glory Cloud at the death and ascension of Jesus Christ and the death and ascension of the two witnesses be a subtle sign that Jesus Christ is the two witnesses of Revelation 11? 1) Revelation 11 repeatedly suggests that the two witnesses are one man, Jesus Christ. 3) Jesus the Son of Ananus fulfills the rest of the predictions in Revelation 11 to the letter. 13At that very hour there was a severe earthquake and a tenth of the city collapsed. Seven thousand people were killed in the earthquake, and the survivors were terrified and gave glory to the God of heaven. Revelation 11:13 Preterist Commentary: Boulders Launched from Roman Catapults shake Jerusalem . . .
As mentioned above, the Glory Cloud was present at Jesus Christ’s death and ascension. Similarly an earthquake also marked Jesus’ death on the cross (Matthew 27:54) and subsequent resurrection (Matthew 28:2). Interestingly, in fulfillment of v. 13 there also appears to have been an earthquake at the death of Jesus the son of Ananus. Because of the weight of the stones and the great distance with which they were hurled, when these boulders struck their target they would shake the earth. Perhaps these boulders were partially to blame for the earthquake mentioned in this verse? The shaking of the earth in apocalyptic imagery is a description of the earth or kingdom trembling or shaking in fear at the coming of God’s punishing army. Revelation 11:13 Commentary: Joel 2:1-10 Suggests Another Interesting Way in which the Earth Shakes at the Approach of a Besieging Army. 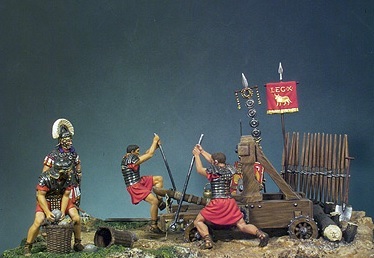 Though there appears to have been a literal shaking of the earth at the death of Jesus the son of Ananus from boulders launched by Roman catapults, as implied in Joel 2:1-10 the earth is also said to shake when the people of the earth tremble and shake in fear at the approach of a besieging army. See How and Why Prophecies with Apocalyptic Imagery May Have Been Fulfilled in Old Testament History Much More Literally than Previously Thought. The Temple was one-tenth of the size of Jerusalem when its walls were finally completed in A.D. 66, at the start of the Jewish Revolt. A Preterist Interpretation, Exposition and Commentary of Revelation 11:13: The Fact “a Tenth of the City collapsed” in v. 13 was Fulfilled in the Fall of the Temple which occupied a Tenth of the City of Jerusalem. Furthermore, Josephus Records a similar Number of Casualties at the Fall of the Temple as that Mentioned in v. 13. The fact that “a tenth of the city collapsed” in v. 13 was also the result of the Roman siege of Jerusalem in A.D. 70. This verse was fulfilled in the destruction of the Temple. Upon breaking into the temple fortress, the Romans immediately set the Temple on fire. 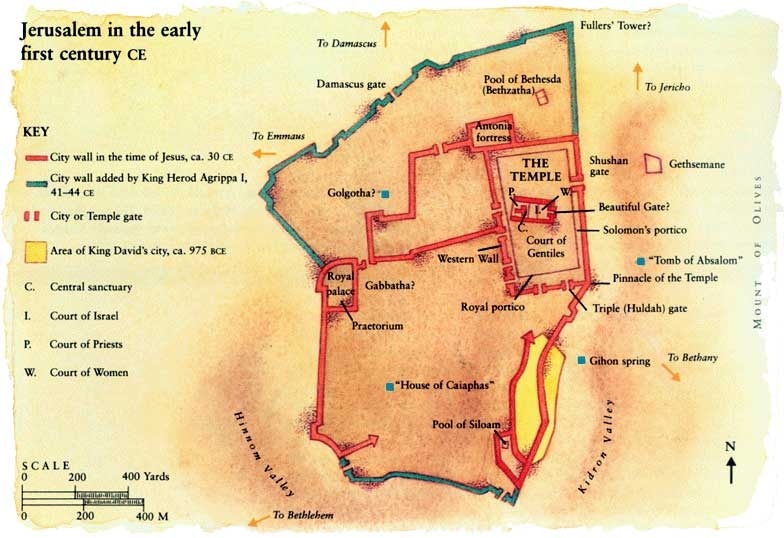 As illustrated in the picture above, the Temple occupied approximately one-tenth of the total size of the city of Jerusalem upon the completion of its walls in A.D. 66, at the start of the Jewish Revolt. Josephus estimates the circumference of the walls surrounding Jerusalem during the siege of A.D. 70 at 33 stadia.49 Edward Gibbon in his book The Decline and Fall of the Roman Empirebelieves Josephus’ estimate of Jerusalem’s circumference to be unlikely: “[T]the 27 stadia, to my mind, are, on all the data we have at present, more probable than the 33 of Josephus.”50 A stadia is approximately 607ft. Thus a total city circumference of 27 stadia is approximately 3.104 miles. Since the city was roughly rectangular in shape this circumference approximates the total area of Jerusalem during the siege of A.D. 70 at approximately .5781 square miles.51 The circumference of the Herod’s Temple was measured by F.J. Hollis at 929ft to the south, 1041ft to the north, 1556ft to the east, and 1596ft to the west.52 This gives the Temple an average length of 985 ft (.18655 miles) and width of 1576 ft (.2985 miles) or an area of .05569 square miles. Thus the area of the Temple at .05569 square miles/ the area of Jerusalem at .5781 square miles=.0963 or roughly 1/10th of the total area of the entire city. Thus v. 13 was fulfilled in the destruction of the Temple. Jesus the son of Ananus died at the start of the siege of Jerusalem and the Temple fell to the Romans about four months later. How could both interpretations be true if immediately after mentioning the death and resurrection of the two witnesses in v. 12, v. 13 then mentions the fall of the Temple as having occurred “[a]t that very hour”? The word “hour” used in Revelation 11:13 is the Greek word hora. This word is used ten times throughout the Apocalypse. 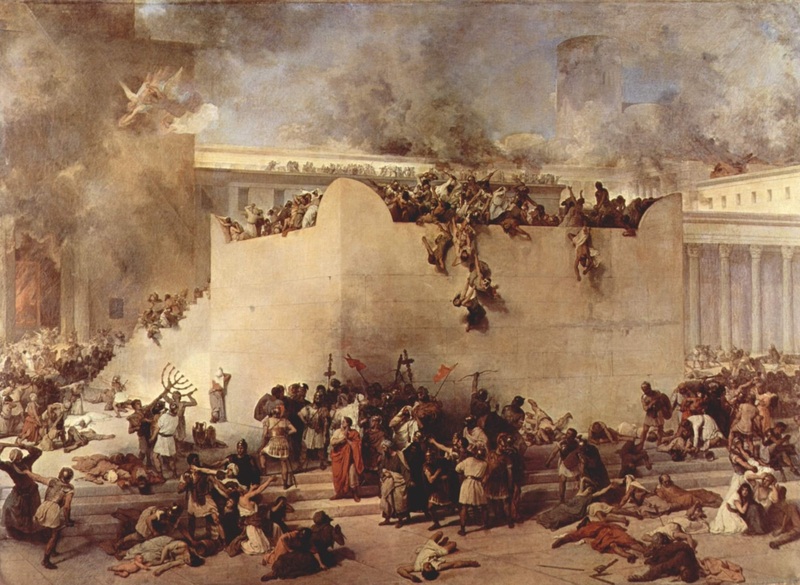 Eight out of the ten times in which hora appears in Revelation it seems to clearly symbolize the five-month siege of Jerusalem (Revelation 3:10; 14:7; 15; 17:12; 18:10; 17; 19). Furthermore, the Bible sometimes refers to the end of the age as simply the last hora or hour as is the case in 1 John 2:18. Thus it is not surprising that Revelation mentions the death of the two witness and the fall of the Temple as having occurred in the same hora or hour even though these events were likely four months apart. Revelation 11:18 Preterist Commentary: Revelation 11:8 is an Allusion to Psalm 2, a Messianic Prophecy, Which Again Suggests that the Two Witnesses are Jesus. In Revelation 11:18 “the nations were angry[. ]” The anger of the nations mentioned in v. 18 is an allusion to Psalm 2 which is a Messianic prophecy concerning the conspiring of the nations against the Messiah. Psalm 2:1 opens as follows: “Why are the nations so angry? Why do they waste their time with futile plans [emphasis mine]?”56 The anger of the nations which alludes to a Messianic prophecy in v. 8 is still more evidence that Jesus is the two witnesses. Revelation 11:14-18 Commentary: The Resurrection of the Dead. . . In the above verses, Jesus inherits dominion over the world, ruling at the right hand of God on a heavenly throne. In v. 15, the seventh and possibly the last trumpet is blown which according to 1 Corinthians 15:52, announces the resurrection of the dead. Therefore, the resurrection of the dead is described in verses 14-18. 19Then God’s temple in heaven was opened, and within his temple was seen the ark of his covenant. And there came flashes of lightening, rumblings, peals of thunder, an earthquake and a great hailstorm. Revelation 11:19 Commentary: The entry of the Ark into the Temple is fulfilled in the Resurrection. In this verse, God’s temple in heaven is opened and within is seen the ark of his covenant. I believe the Ark of the Covenant is a symbol of Christ and His kingdom. Thus the entry of the ark into the temple is fulfilled in the resurrection of the dead. The events described in this verse correspond concurrently with Revelation 16:18-21 and will be discussed in greater detail there. In the next chapter, John is given a new vision of a war in heaven and conflict on the earth below. And once again, his predictions unfold with startling accuracy. For an explanation of the other appearances and manifestations of Christ during and shortly after the Jewish War see Historical Evidence that Jesus was LITERALLY SEEN in the Clouds in the First Century. For an explanation of how the end of the age and its fulfillment during the Jewish War mirror Genesis 1-3; how the Bible teaches that the resurrection of the dead is a resurrection of heavenly bodies to heaven, not a resurrection of perfected earthly bodies; and how the resurrection is a mirror opposite of the fall see How the Jewish War and Resurrection to Heaven Mirror Genesis and the Fall; and How Preterism fixes the Age of the Earth Problem and unravels the Mysteries in Genesis. In the above commentary on Revelation 11, the reader was exposed to compelling Biblical and historical evidence that as king and high priest, Jesus was the sole embodiment of the two witnesses and had returned to Jerusalem to fulfill all the predictions of Revelation 11 during the Jewish War in the first century. This is believed by many Biblical scholars to be the approximate length of Jesus’ ministry. David Chilton, The Days of Vengeance: An Exposition of the Book of Revelation (Dallas, GA: Dominion Press, 2011), 264. Isbon Beckwith, The Apocalypse of John (New York: Macmillan, 1919), 777. David Chilton, The Days of Vengeance: An Exposition of the Book of Revelation (Dallas, GA: Dominion Press, 2011), 265. Dennis LaValley, Revelation: Beyond the Cross, 3rd ed. (2014), 226-227. Perhaps the seven years and five month period mentioned by Josephus is based on the Gregorian calendar? According to modern church tradition, Jesus’ ministry lasted three and a half years; however, it is not known whether or not Jesus began His ministry on the Feast of Tabernacles. This was in fulfillment of Isaiah 53:7. Phillip Carrington, The Meaning of Revelation, (Eugene, OR: Wipf and Stock Publishers, 2007), 244-245. I believe the angels of the four winds are the four angels bound at the Euphrates (Revelation 9:14) who are ultimately responsible for setting in motion the fall of Jerusalem at the seventh trumpet. If this is true, the fact that Jesus the son of Ananus claims to be a “voice from the four winds” explains why he incessantly repeats “Woe to Jerusalem” as the four winds, I believe, are responsible for the fall of this great metropolis. Josephus The Antiquities of the Jews 20.9.1. Eusebius The History of the Church 2.23. This quote by Josephus is not in current manuscripts but is also quoted by Origen. The definitive parousia is described in Daniel 7:13-14. In these verses, Christ comes on the clouds of heaven to receive His heavenly crown. The name Moses means “drawing out (of the water), rescued.” (Pamela McQuade and Paul Kent, The Dictionary of Bible Names (Uhrichsville, O.H. : Barbour Publishing, 2009), 271.) Of course, this name calls to mind the rescuing of the Hebrews from slavery in Egypt as is symbolically depicted in the miracle of the parting of the Red Sea. The freeing of the descendants of Israel from slavery in Egypt is a prophetic type of the resurrection of the dead at the last trumpet. In v. 11, the two witnesses, who have the power of Moses, rise from the dead. Their resurrection immediately precedes the resurrection of the saints from Sheol at the last trumpet depicted in vs. 15-19. Like Moses leading the Israelites out of slavery in Egypt to the Promised Land, Christ leads the departed spirits in slavery to sin out of Hades to receive their inheritance in the Promised Land that is above–heaven. Isbon Beckwith, The Apocalypse of John (New York: Macmillan, 1919), 594. According to John 1, the Word of God is a title for Jesus Christ, the bodily manifestation of the Law and the prophets. See Deuteronomy 28:15-68: A Preterist Commentary. Having occurred in the same generation as the second coming, I believe Jesus’s life, death and resurrection are also considered end time prophecy. Josephus The Wars of the Jews 2.19; 6.9.2. Cestius departed from Jerusalem shortly after briefly besieging the city. However, the Roman army returned in A.D. 70, and Jerusalem fell several months later. The fact that the Jews of Judea were removed from Israel after the war suggests that they were regarded as Gentiles in God’s eyes and therefore unworthy to live in the Promised Land. This idea is given greater support in v. 8 where Jerusalem is called Sodom and Egypt: two Gentile kingdoms. Dr. Kenneth L. Gentry, Jr., The Beast of Revelation, (Powder Springs, GA: The American Vision, Inc., 2002), 155. Josephus The Wars of the Jews 7.1.2. Josephus indicates that Jesus began his ministry at the Feast of Tabernacles in A.D. 62 and continued until he was killed at the start of the siege of Jerusalem in Passover of A.D. 70. This is a period of seven years and six months. And since this man was not seen by anyone for four years until the start of the war, that means that Jesus the son of Ananus preached openly for three and a half years beginning sometime amidst the feast of Tabernacles in A.D. 66 when the 12th legion threatened to besiege Jerusalem until sometime around Passover of A.D. 70 when the Roman siege of Jerusalem truly began. The festival of Passover and the Feast of Tabernacles are each about a week long. From the middle of the Feast of Tabernacles until the middle of Passover are 1268 or 1269 days apart. This 1260 day interval is technically 42 months long, though it is almost 43 months in length (1268 or 1269 days). There were likely to be 43 months between the middle of Passover of A.D. 70 and the Feast of Tabernacles of A.D. 66 since a 29 or 30 day leap month was likely added sometime in this three and a half year interval to prevent seasonal overlap. In Biblical Greek it is true that the singular tense is sometimes used when the plural tense is intended (James 3:3; Revelation 13:16; 2 Corinthians 1:12; 6:11; Romans 8:16, 26). Perhaps this shift to the singular tense is one example of this? However, I believe this shift from plural to singular may have been intended to further imply the fact that the two witnesses are actually one person, the Messiah. According to 2 Kings 2, the first person to inherit the power and spirit of Elijah was Elisha, Elijah’s friend and contemporary. Because Elijah and Elisha lived at the same time, Elisha could not have been the reincarnation of Elijah. In the same way, just because the two witnesses were said to have the power and spirit of Elijah also does not mean that they were the reincarnation of the prophet. This fact is implied in John 1:21. Here John the Baptist denies being Elijah despite having the power and spirit of Elijah as indicated by Jesus in Matthew 17. John, like Elisha, has the power and spirit of Elijah but is not actually Elijah himself. The drought induced by the two witnesses fulfills the curse of Deuteronomy 28:22. The fact that these two witnesses have the power to fulfill the Law makes them a kind of embodiment of the Law itself. See Revelation 8: A Preterist Commentary, Revelation 9: A Preterist Commentary–Who is Apollyon? and Revelation 16: A Preterist Commentary. In v. 7 the two witnesses become martyrs. “[I]ndeed, the two words are the same in Greek.” Phillip Carrington, The Meaning of Revelation, (Eugene, OR: Wipf and Stock Publishers, 2007), 189. 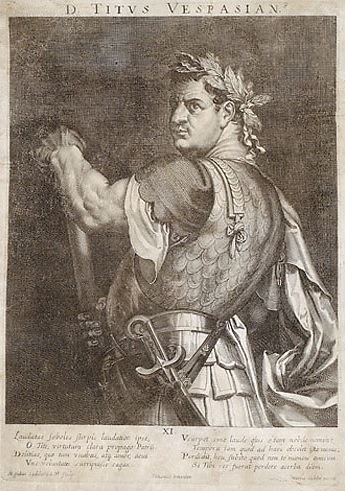 Cassius Dio Roman History 66.1. John Noe, Ph.D., The Greater Jesus: His glorious unveiling, (Indianapolis: East2West Press, 2012), 95. Robert H. Mounce, The Book of Revelation, rev. ed. (Grand Rapids: William B. Eerdmans Publishing Company, 1997), 223. Josephus The Wars of the Jews 5.4.3. Some translations read furlongs which is similar in length to stadia. However, furlongs did not exist at the time in which The Wars of the Jewswas written. Edward Gibbon, The Decline and Fall of the Roman Empire, Vol. 2, (E. P. Dutton & Company, 1914), 381. 27 stadia X 607ft/1stadia=16.389 ft or 3.104miles. Since the outer walls of the city of Jerusalem roughly approximated the rectangular proportions of the Temple, a circumference of 3.104 miles would give an average length of .6208 miles and an average width of .9312 miles. .6208 X .9312 = .5781 square miles. F.J. Hollis, The Archaeology of Herod’s Temple: With a Commentary on the Tractate Middoth, (London, 1934), cited in John M. Lundquist, The Temple of Jerusalem: Past, Present, and Future, (Greenwood Publishing Group, 2008), 103. Josephus The Wars of the Jews 6.5.1. Arthur M. Ogden, The Avenging of the Apostles and Prophets: Commentary on Revelation, (Pinson, AL: Ogden Publications, 2006), 255-257. On a closing note, it is overwhelmingly obvious the 2 Witnesses preach the Law and the Prophets (Torah) and NOT the heretical deception that one is "saved by grace".